Yesterday in assembly we met Boris, our Heart Smart robot! We will completing lots of work about Boris and keeping our hearts smart and healthy in our classroom too. 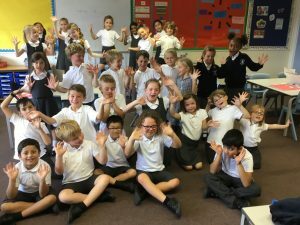 In year 2 we work extremely hard all year round but we also have lots of fun along the way. We are preparing the children for when they enter the juniors and they have increased responsibilities around school and in the class room. 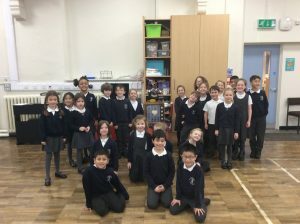 The class is taught by Miss Wood on a Monday and Tuesday and Miss Howard on a Wednesday, Thursday and Friday. The children also have Madame Taylor for French and Mr Palmer for PE on a Thursday afternoon. Support staff include Mrs Van Bergen, Mrs Colclough and Mrs Jorgensson. Spellings and a piece of homework (either English and maths) are given out on a Friday. We send out homework that reflects what the children have been doing in class. We ask for parental support to complete the practical activities we send home for children. Children read to an adult at least once a week in school. This maybe individually or in a guided reading session. We encourage children to read little and often, we suggest 10-15 minutes per night in year 2. Children can have their reading books changed during their guided reading sessions or at any other time during the week providing they put their folder in the box and their reading record has been signed. Please click the link below to view the PowerPoint Presentation shown at the Meet the Teacher evening on September 20th 2018. Attached are the age related expectation for the children at the end of Year Two.